With 10 albums, 13 No. 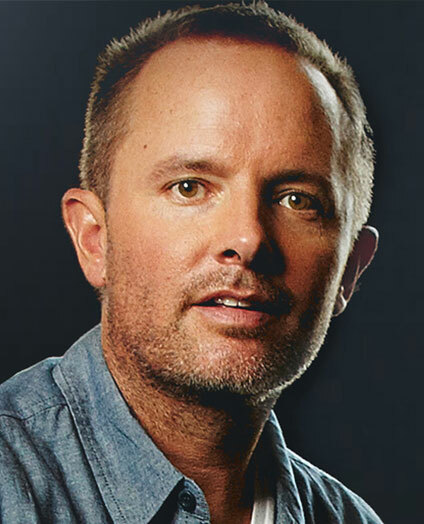 1 radio singles, a GRAMMY® Award and 8 additional nominations, 3 Billboard Music Awards, 21 Dove Awards, 2 platinum and 4 gold albums to his credit, Chris Tomlin is among the most well-known and influential artists in contemporary Christian music. Referred to by TIME magazine as likely the most often sung artist anywhere, Tomlin consistently has several songs in the top 20 of the Top 100 CCLI songs. BMI and GMA Dove Awards’ 2014 Songwriter of the Year, Tomlin’s “How Great Is Our God” was his first No. 1 on the CCLI Top 25, becoming one of the fastest rising modern day hymns in CCLI chart history. In addition to having sold more than 7 million albums and over 8.9 million digital tracks, Tomlin made history as his No. 1 single “Jesus Messiah” (Hello Love) garnered 97 adds at radio, making it the biggest ever add date in Christian radio history. Tomlin recently broke the record for most top tens in the history of Billboard’s Hot Christian Songs chart. In the midst of his record-breaking success, Tomlin continues touring and leading at Passion Conference gatherings across the US and worldwide, including his recent Worship Night In America events, which sold out NYC’s Madison Square Garden, Denver’s Red Rocks and Sacramento’s Sleep Train Arena. Burning Lights debuted at No. 1 atop the Billboard 200 in January 2013, making history as only the fourth Christian music album to do so, and his tenth recording, Love Ran Red continues to produce chart-topping singles. ADORE: Christmas Songs of Worship released fall 2015, debuting at No. 1 on Billboard’s Holiday Albums Chart.